The Scandinavian countries have plenty of appeal for those looking to relocate, and when you take a look at Denmark, it’s not hard to see why. 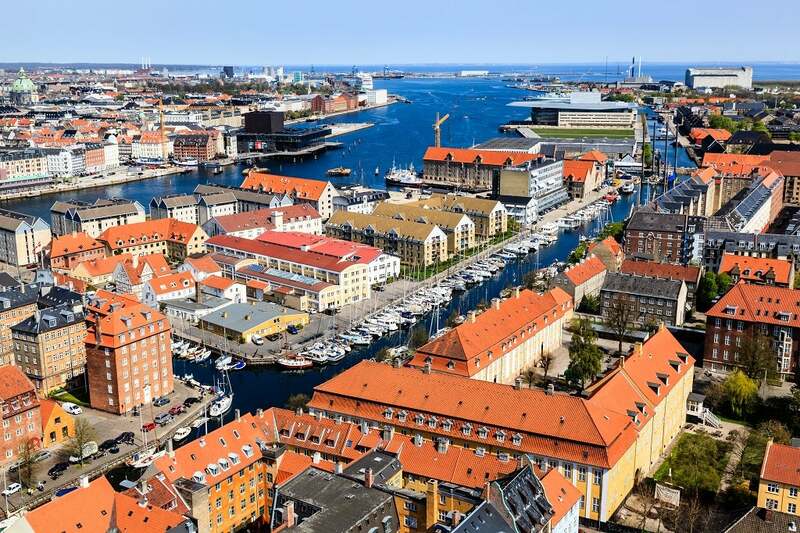 The capital city Copenhagen is a cosmopolitan metropolis, with direct links to Malmo in Sweden, so you can easily experience Swedish culture as well as Danish. But there’s so much more to this majestic country that entices people to join in. Typically known as a liberal race, the Danes have forged a clean and modern country that has tolerant attitudes towards the new, yet holds true to age old traditions. Whilst the capital, Copenhagen is home to over 25% of the population, there is plenty more that this country has to offer with fantastic recreational activities, such as hiking, camping, cycling and water sports to name but a few. Denmark is part of the Kingdom of Denmark, which also includes Greenland and the Faroe Islands, but Denmark itself comprises of the Jutland Peninsula, which borders with Germany and over 400 individual islands of which only round 70 are inhabited. The largest island is Sjælland and is home to Copenhagen. This fact alone makes Denmark an incredibly interesting place to visit and explore. If you’re looking to stay longer than a visitor’s permit allows, you will need to apply for temporary residency for up to 5 years. This will allow you to work and live in Denmark, contribute taxes and make use of the social system, such as healthcare and education. If you want to gain permanent citizenship for Denmark, you can do so with nationality by birth, i.e. one or both of your parents are Danish citizens or you will need to obtain it through naturalisation. This process requires you to have a permanent residence permit, which can be applied for after 5 years of living in Denmark. Like many countries, Denmark has a number of agreements with countries that allow foreign nationals to freely enter the country on a short-term basis – up to 90 days – without the need for a visa. These countries include all EU/EEA countries and a list of major countries including the US, Japan, UAE, Australia and New Zealand. You can find more information on the countries exempt from this agreement here. Denmark offers excellent public healthcare facilities, which include access to doctors, pharmacists, dentists and other special medical care. The healthcare services are available to nationals and all EU/EEA nationals with a valid European Health Insurance Card (EHIC) and is state funded, so the majority of medical treatment is free. You may be required to pay for certain services, such as prescription costs up to 50%. However, all emergency medical treatment is free, even for foreign visitors, so you can have peace of mind that you will be treated without hesitation. Once you’ve relocated to Denmark, you will need to register with the National Register in your municipality to receive a health insurance card. This will grant you access to healthcare facilities and should be taken with you for any visits to doctors, dentist or medical practitioners. The Danish economy is currently in a good position, and despite a slight dip during the global crisis; it has made a full recovery and is currently one of the strongest economies in the EU. As a result of their strong economy there is a thriving job market with an unemployment rate of just 6.0%.With world-leading pharmaceutical companies and maritime shipping firms, there are plenty of opportunities for expats looking for work. That being said, the best way for expats to find work is with an inter-company transfer or if that isn’t an option it’s time to brush up on your Danish. Despite the majority of people having a good grasp of English in business, going up against locals without knowing a little bit of the language could set you back. There are plenty of free language courses available, so make use of them and also take advantage of the services from Job Seeker or Work in Denmark. There are also a large number of successful self-employed people in Denmark, with many running trade companies, restaurants, bars and agricultural businesses. If you’re a budding entrepreneur, this could be the perfect opportunity to take the plunge. Check out this handy guide to unemployment insurance in Denmark. Tipping: By law, service charges are included in the total bill for restaurants and bars, but it’s common courtesy to leave a 10% additional tip if you’re satisfied with the level of service. With a move to Denmark, you will invariably need a place to call home, but do you rent or buy? What’s the normal practice? And how easy is it to go about finding and potentially buying property? Well, living in Denmark is expensive, which inevitably means that renting and buying property is pricey too. However, much of this is relative as higher wages help to offset some of the higher living costs. When it comes to property in Denmark, the majority are well-built wooden terraced or detached houses that range from modern builds to traditional ones. Over 50% of the population live in either bought terraced or detached houses. However, in the cities these types of properties are harder to find, so will come at a premium price. This is why in cities like Copenhagen and Aarhus, you’ll find an abundance of apartment blocks that are typically rented rather than bought, and offer a more affordable alternative. In terms of property prices, undoubtedly the prices in the major cities will be more expensive to rent and buy than out in the suburbs or rural locations. If you want to be in the heart of the capital with all the amenities you could possibly need, then monthly rental prices average around 11,600 DKK for an 85m2 apartment outside the centre, up to 13,150 in more expensive and desirable areas. And if you want to invest and own a property, these prices will be in the range of 2,106,000 DKK up to 3,150,000 DKK respectively. That being said, if you don’t want to live in the hustle and bustle of a city, you’ll find house prices can be up to 50% lower outside of the city. If you are looking to get on the property market then there’s good news as foreigners have the same rights for taking out a mortgage as the Danes, and this is likely to be your best bet for financing your purchase. Providing you have at least a 20% deposit available, securing a mortgage in Denmark as a foreigner shouldn’t prove any more difficult than it is for locals. Typically you can borrow up to 80% of the property value to be paid over 10-30 years, and enjoy either fixed or variable interest rates. There’s seven major mortgage banks on the market, with the biggest two being Realkredit Danmark and Nykredit. With a move abroad, it’s likely that you will want to take at least some of your worldly possessions with you to make the transition smoother and potentially keep costs down for refurnishing a new home. With this in mind, here’s a few helpful estimates on shipping to Denmark from across the globe. Like its Scandinavian counterparts, Denmark boasts considerably high living costs across the board. Whilst a large portion of your salary will go towards your rent, utilities, food and transport, the flip side is you will enjoy a high standard of living and access to excellent infrastructures on all levels. You won’t go wanting for variety in Denmark, particularly in Copenhagen and the larger cities. However, groceries and restaurants are generally expensive, but you pay for high quality produce, which can go some way to justifying the high prices. How much you spend on your groceries and meals out will really depend on what you fancy, basic products such as milk and bread are relatively inexpensive at 7 DKK and 17 DKK, but you should expect high prices on meats, poultry and fruit and veg. If you want a treat with a meal out there are cheaper options with a fast food meal setting you back around 60 DKK, but for something fancier in a nice mid-range restaurant that price will rise to 600 DKK. The other expensive products include alcohol, particularly if you’re in bars and restaurants with beers costing up to 45 DKK and a bottle of wine from the supermarket around 60 DKK. Getting around in Denmark can range from the very reasonable to the very expensive, depending on which mode of transport you’re taking. If you’re getting out and about on public transport trains and buses then you’ll find decent prices with a one way ticket costing around 25 DKK. However, avoid taxis where you can as these cost over 14 DKK per kilometre. The other option is driving, which if you live out of the city can be the most convenient mode of transport, especially for those with kids, but expect high fuel prices with petrol costing over 10 DKK a litre. Another area where the Danes excel is in their education system, which is ranked as one of the best in the world. They offer exceptionally high standards of free education to all children and students living in Denmark, although foreign students may be required to pay tuition fees for higher education. They also offer free Danish-language tuition to foreign students of all ages. The education system structure consists of nursery childcare, pre-school, primary and secondary education and upper secondary schooling in preparation for higher education. The average school day starts at 08:00 and will finish around 15:00, with the option of additional after school programs too. Between the ages of 7-16, children will attend (folkeskole) where they will receive primary and lower secondary education, after which they will attend gymnasium or upper secondary school for an additional three years. This is where they can obtain a Danish secondary school leaving certificate that qualifies students to attend university. As well as public funded schools there are also a number of private international schools in Copenhagen and other major cities. Teaching is usually in English and students can work towards the International Baccalaureate. For higher education there are also a number of opportunities for students to study a wide range of academic subjects at university, as well as practical and vocational qualifications at higher education colleges. Denmark consists of a land-bordered peninsula and over 400 small islands, which you would think would make travelling through the country difficult. However, the fantastic infrastructure in Denmark, which consists of interconnecting bridges and ferries provides a road system that’s convenient, efficient and relatively congestion free. The Danes drive on the right-hand side of the road, so if you’re not familiar with right-hand drive cars it may take a little time to adjust, but driving on the roads in Denmark, even in the cities, should be pretty stress free and pleasant all round. When it comes to your driving license, EU citizens can use a valid EU license without the need to replace it for a Danish one. However, if you’re a national from a non-EU country and a permanent resident, you will need to exchange your license for a Danish one within 14 days of receiving your residency permit. Depending on which country you’re originally from, you may be required to take a practical and written test to gain a Danish driving license. Denmark enjoys a number of accolades in the world rankings, and always features high up on the lists for best country to live in the world or the happiest people in the world. This is all down to its infrastructure, progressive economy, high living standards and equality measures, which consistently make it a very desirable place to live, work and retire. Despite the high living costs which might put many people off, what you get in return is an exceptional quality of life with a healthy work-life balance that far surpasses the likes of the UK or the USA. There’s more focus on spending hard earned salaries on socialising with family and friends than material possessions, which is perhaps also key to its happy culture. If education is an important factor in your move to Denmark, then you can rest assured that your children will be getting a far higher standard of education from primary school through to higher education than many top countries, including the UK. In terms of higher education, Denmark ranks third behind the United States and Switzerland for best system of higher education.